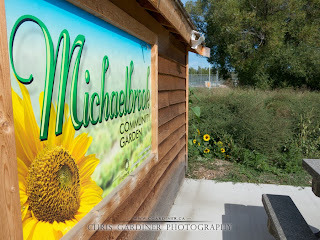 Out exploring the area we moved to here in Kelowna and came across Michaelbrook Community Garden. Not only was it full of a truly impressive collection of vegetables and flowers. It was pretty cool to walk around each and trying to name everything you saw. 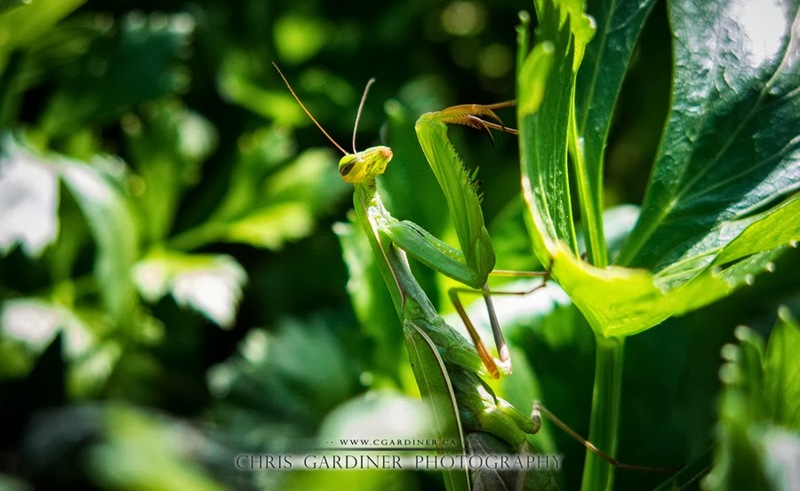 There aren't many insects that can be mistaken for a praying mantis. So when I saw one on my walk, I knew what I was seeing, in fact it was actually a pregnant female. I wonder if her male counterpart was part of the massive bulge she had, or if he was long digested by now. 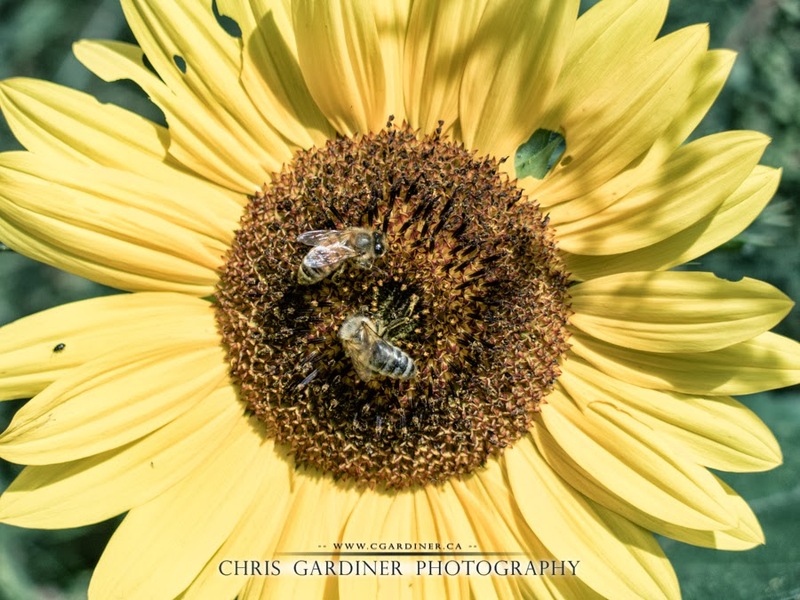 One of the few places in the Okanagan where I saw real honeybees this summer. A nice change from the usual wasps and yellow jackets you see around here without end all summer and much of fall.